Several times during my stay in San Cristóbal, I dreamed of a young man among vegetation who would appear during the narrative, whisper something - often inaudible to me - then fade away. I decided that this was an apparation of the Maya Maize God, whose original name in Classic Maya is unknown (but may have been Hun Nal Ye or Hun Ixim), but who was considered a paragon of beauty and whose attributes resonated with the much later Aztec god Xochipilli. 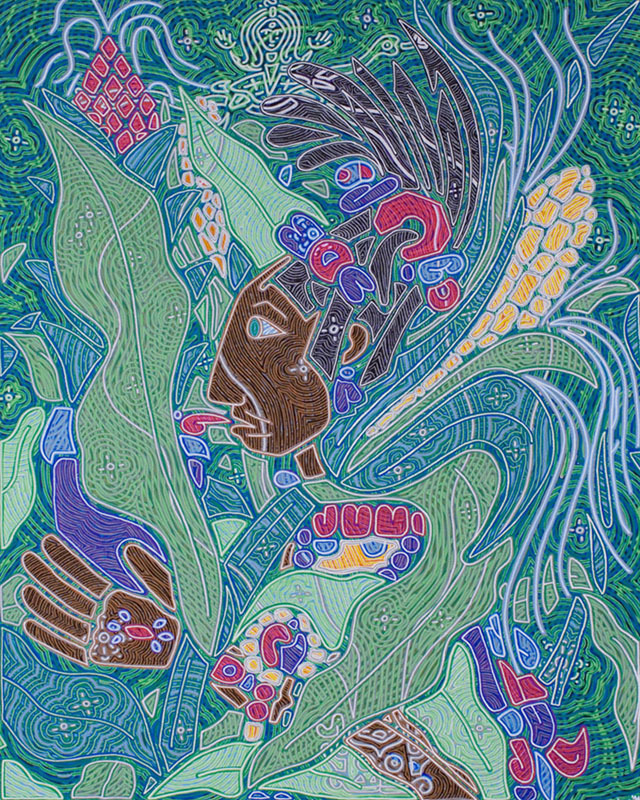 Even today the indigenous Mayan communities venerate corn and the maize god in quiet rituals such as leaving a cob of corn in the fork of a tree, and a single corn cob still has the awesome sacred power for Maya people that the cross has for Christians.